Every year when I return to Thailand for further Teacher Training, our main teacher Paul Dallaghan will spend the first couple of days leading us through a VERY slow Ashtanga yoga practice. Often considered a dynamic, athletic style of yoga, we get right back to basics, to what the practice is really all about and Paul will always encourage us to use yoga blocks for certain poses such as Utthita Trikonasana A & B (triangle pose) and Utthita Parsvakonasana A & B (extended side angle pose). 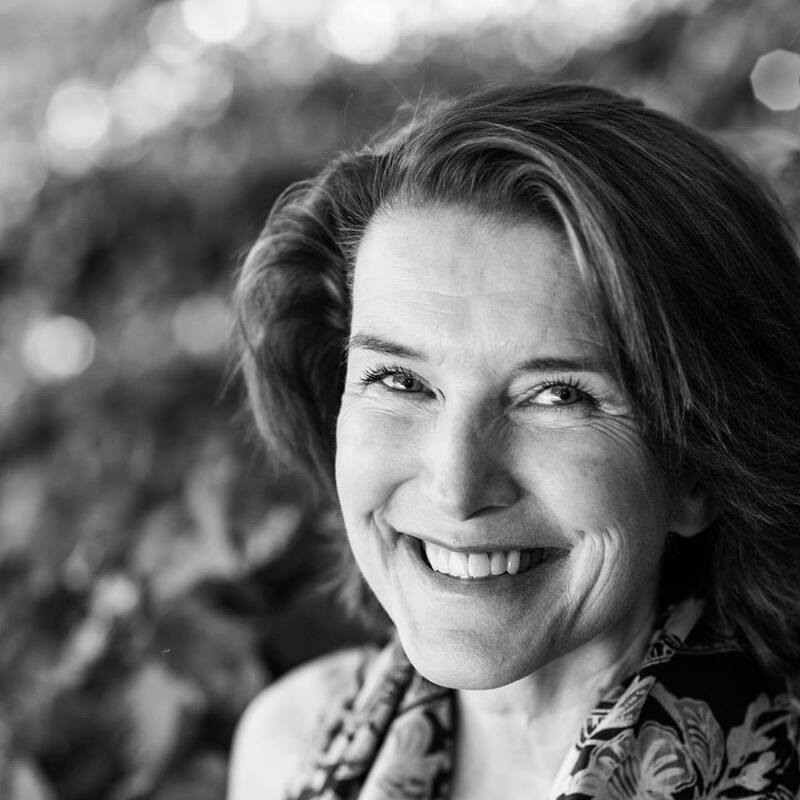 It doesn’t matter how many years we’d been practising, how flexible we think we might be or how long we’ve been teaching, we start right back from the beginning working on correct alignment, reminding ourselves what we were doing and why. It works wonders for the ego! The main purpose of using props is to offer support. While some styles of yoga avoid the use of props, others rely heavily on props. Personally, I’ve grown to love them and have come to appreciate the sheer diversity and creative use they offer. Props help practitioners, of all levels not just beginners, gain awareness within a pose so they can benefit without going beyond their limits. Contrary to what some may think, especially those new to yoga (I know because I was one of those who first thought they were a sign of weakness) using yoga props is not considered cheating. They allow ease, stability and are highly effective. Having said that, as you progress in your practice, for some poses at least it’s well worth considering them as training wheels and at some point when you’re ready, you need to let them go. Otherwise, you may rely on them a little too much and they might become a crutch to your practice holding you back a little rather than offering support. What Yoga Props Support Your Yoga Practice at Home? My favourite is cork blocks because they’re made of natural material and stable. Ideally, have two. Foam blocks are practical to carry around especially if you’re travelling, but they don’t have the weight or stability to support deeper poses that require more of your weight such as backbends. Blocks are also versatile as they have 3 different heights depending on how you place them – flat, along the edge, up on its end. Blocks create height and can help create more space within the body, they can be used to bring the ground closer to you, they help with alignment, stability and intensifying poses. What if I don’t have a block? Hardback books are a great alternative. You could wrap them in a towel if you have more than one on top of each other. Long D-ring belts are sturdy easy to adjust and have a secure locking system. Straps are great for increasing flexibility, they help to lengthen out parts of the body and create traction and space. What if I don’t have a yoga belt? Normal belts that you wear with your jeans/trousers can work well. Another very versatile prop. Traditional yoga blankets are thick and heavy and are often used in restorative yoga as they can be folded, rolled, stacked on top of each other or used as a cover to warm the body. They provide support while sitting and/or meditating so that your hips are higher than your knees. They can be rolled and placed under your knees while lying down to take pressure off your lower back. They can also be rolled as great support for chest-openers and folded for forward bends. They can keep you warm as you rest in Savasana, final resting pose. What if I don’t have a yoga blanket? Folded blankets that you have at home work well. You can even use bath or beach towels. 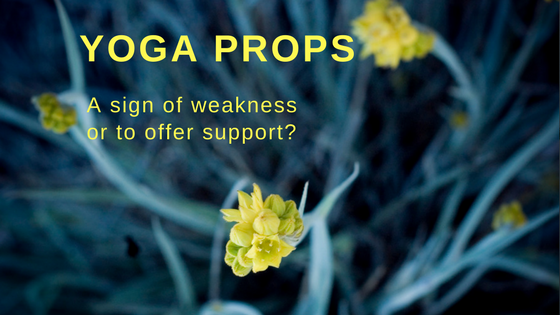 All these props can be found at major yoga retailers, select yoga studios and if you live in Switzerland you can find them here. Tell me what yoga equipment do you use? If you haven’t used props before what prop appeals to you most? If you already have your own practice or are considering starting a yoga practice, I don’t believe you need to spend a fortune on the latest gear, but it is nice to occasionally treat yourself to a little something (a quality item or prop) as your practice progresses. If you want to start yoga, then investing a small amount in a beginner course is hugely beneficial and one that specifically develops a self-practice is a massive bonus. A self-practice is completely free, one you can do at home or take with you wherever you go. This course is ideal for complete beginners, those who haven’t practiced in a while, professionals who travel a lot. Plus those who of you who used to be fit but then family/work/life commitments took priority and you long to get back into a routine and improve your health, fitness, well-being and stress-management. It’s also suitable if you tried yoga in the past but gave up as you didn’t get it, couldn’t follow along or felt self-conscious. Will you join me? Let me know if you have any questions, I’m happy to help. P.S. If you have friends or family who you feel may benefit from this course, please feel free to share with them.